The new High Commissioner of India to UK, HE Ruchi Ghanashyam has taken charge of her office. She organised an interactive session on Thursday with the media on Thursday 13 December 2018 at the India House. 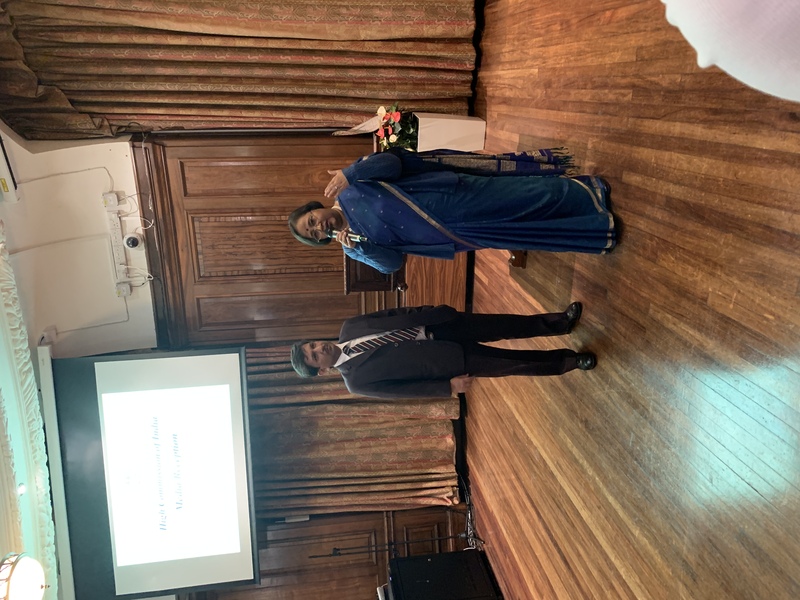 Mrs Ghanashyam was joined by the Deputy High Commissioner of India to UK, Charanjeet Singh. A career diplomat, Mr Singh joined the Indian Foreign Service in 1996. A holder of B.Sc (Hons.) in Mathematics and a Master's degree in Physics, Mr Singh has taught Physics in University before joining the Indian Foreign Service. He speaks Hindi, Punjabi, Rajasthani, English and Russian. He is married and the couple has one son.